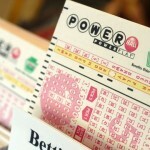 After twelve draws in a row yielding no Jackpot winners, the Powerball lottery Jackpot goes up to 212 Million dollars anticipated to be won this Wednesday night. 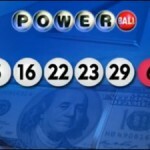 Despite their being no winner, four lucky ticket holders managed to match 5 numbers winning $1,000,000. Unfortunately none of them had the power play option which would have meant that the prize would have immediately been 2 Million. There were also another lucky 105 ticket holders who matched 4 numbers winning 10,000 dollars with twenty of the tickets under the power play option seeing them win 40,000 dollars. 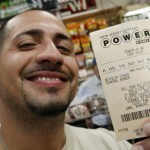 So the power ball draw this Wednesday is much anticipated with players hoping to win the jackpot. Lottery news just hot hotter with an anticipated draw to be held by the Arizona department of Health Services to determine who will qualify to open a medical marijuana dispensary. The lottery which will be held and conducted very much in the style and fashion of ordinary lotteries will have the draw on Tuesday this week. So far 462 applications have been received for 75 of the available 99 areas where these dispensaries can be opened. This means that the arrears which only had one applicant have the sole applicants as the intended recipients of the operating certificates. An estimated 30,000 people have permission from a recognized health practitioner indicating that they have a condition that requires them to use marijuana medically. This means the dispensaries will have business. Not all the players are happy about this though and federal prosecutors moved to shut down the largest medical marijuana dispensary in California.